Oven Cleaning Clock House BR3 - Residential & Commercial Kitchen | Quality Property Care Ltd.
For a more professional touch, with guaranteed spotless results each time call 020 3746 4287 and let us clean your entire kitchen. We work fast and efficient, no delays or complications, deposit and contract free. Upon your request we will clean your entire kitchen with the appliances with a discount. 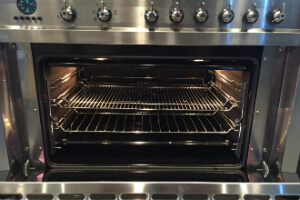 We can also clean range half size ovens, single wide ovens with their racks and trays, warming drawer doors, master range excluding burners, small barbecues and large barbecues. We use safe and green detergents and tools which allow us to remove stains and grime without leaving any toxins. The biodegradable solutions allows us to safely clean your kitchen and appliances without you having to worry about hazardous residue entering your food. Don’t wait any more and ensure that your food is tastier, healthier and your oven will work and live longer and efficiently. Book the deep oven cleaning services of Quality Property Care Ltd. today! This is a professional cleaning service which let us properly clean your fridge or freezer, from the outside and inside. First we inspect the freezer or fridge and see what requires cleaning. Every part that can be detached is removed and cleaned separately. We use a biodegradable solution to remove any stains and leftover food particles. It prevents and removes bacteria and mould growth inside the fridge or freezer. Each part that has been taken out, when it is fully cleaned, is put back inside and the freezer and fridge are left to dry. After that they can be used immediately. Barbecues and grills tend to accumulate a great deal of food on them. A lot of burnt meat is left if not cleaned afterwards. This build up of carbonized matter releases gases during the cooking. It enters the food and makes it taste much more different. We soak the detachable grill and BBQ parts to remove any grease and residues. After everything is cleaned, it is put back on. The barbecue and grill are ready for usage. In addition to these, our professional oven cleaning company Quality Property Care Ltd. is a master of sanitising of all these widely spread cooking device brands: Rangemaster, Smeg, Rayburn, Stanley, Aga Range, Alpha Range. We hire only highly trained and licensed oven cleaners Clock House BR3 with finest skills and great approach to detailed cleaning. If you believe in healthy lifestyle and nutrition, you should always pay attention to the hygiene. It is a factor that matters even more than the origin of the products you cook. So don't leave your oven full of bacteria, greasy and dirty. 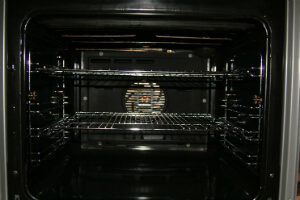 You can rely on our first-class oven cleaning service. Booking a thorough oven cleaning service has never been faster and easier. The customer support is waiting for your phone on 020 3746 4287 or for your online booking form. You will be charged with no deposits or hidden fees for the service. Same day booking is available. You can book your oven cleaning for any day of the week, including weekends and bank holidays, with no extra fee charged.